City of Death is one of those important stories in Doctor Who history. Not only is it considered an absolute classic, (and for good reason), but it also began to draw the middle of the Tom Baker era to a close. Of course nowadays the easiest way to bring an era of the show to a close is to make the Doctor regenerate. But Tom Baker was the Doctor for seven years, from 1974-1981. The final chapter in the Baker era began in 1980 with The Leisure Hive and the introduction of John Nathan Turner as new series producer. Unfortunately a lot of people blame Turner for steering the show towards its eventual cancellation in 1989, I think we have to be grateful that he kept the show afloat for as long as he did, given that the BBC would have quite cheerfully cancelled the show after Peter Davison left. But I'll speak more on that when we get to that stage in my reviews. 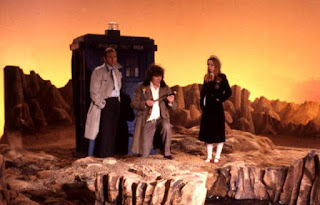 Sat in-between the two biggest producers of the classic era, Phillip Hinchcliffe and John Nathan Turner was Graham Williams, who had taken over the show with direct orders to tone down the violence the show had become famous for when Baker took over the role as the Doctor. And indeed, under William's eye, the show became more comic and light-hearted, sometimes to the point of farcical. Williams brought on board arguably the biggest name to ever work behind-the-scenes in the show, Douglas Adams, who he had worked with before on a couple of projects. Adams would prove to be the only writer to go and have a truly famous career after he left the Doctor Who production office with his creation, Hitchhikers Guide to the Galaxy, really taking off at the time he was script editing this show. But it was following The Pirate Planet, a serial that Adams wrote for Doctor Who that made Williams believe he would be the perfect candidate for the role of script editor. But it wasn't as successful a partnership as it could have been, with this being Williams' final year on the show and Adams' attention divided between Doctor Who and Hitchhikers Guide. But the problems didn't end there, both Williams and Adams had far too much trouble finding people to write stories and a BBC strike caused the story, Shada to be cancelled, a story written by Adams. 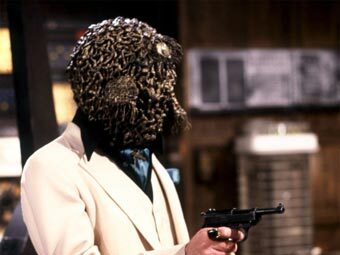 Sadly, series 17 gave us some mediocre and passable stories and one undeniable classic, City of Death. Credited as being written by the mysterious David Agnew, it is largely the work of Adams and Williams, who rewrote a script originally from David Fisher, almost from scratch. City of Death boasts the highest viewing figures of any story to come out of the classic run between 1963-1989. It is a testament to its brilliance and a stroke of luck as ITV had striked at the time, shutting down their channel. And while it is entirely possible to overrate City of Death, it is on every list of favourite Doctor Who stories because it captures Douglas Adams and Tom Baker at their best. I don't think there isn't a scene which doesn't have either Adams' humorous dialogue or Baker's wide-eyed comic charm. The basic plotline is something which have seen before: a crime thriller pastiche that breaks out of the genre thanks to adding Doctor Who's particular blend of science-fiction. We've got the Doctor going up against the villainous Count Scarlioni, played brilliantly by Julian Glover. The brilliance is that Scarlioni is only pretending to be a sophisticate who wants to steal the Mona Lisa, but is indeed a one-eyed alien, who has been split over 12 different time zones thanks to an explosion at the birth of the human race. To fix himself, he plans on travelling back through time to the point he had originally tried to take off in his spaceship and stop him. But if he does so, he would stop the creation of the human race, though that is a mistake he is also more than happy to correct. His storyline isn't al too dissimilar from that of Magnus Greel's in The Talons of Weng-Chiang, only with a very different tone. That is mainly due to Adams and Baker but it is also due to it being a different kind of pastiche. Talons took inspiration from material like Phantom of the Opera, Fu Manchu and Jack the Ripper. City of Death comes from movies like How to Steal A Million and Topkapi, where a couple of glamorous thieves, (the count and his wife), try to steal an even more glamourous prize while the thick-headed inspector, in this case, Duggan, tries to stop them. In fact, if the Doctor wasn't involved and Scarlioni wasn't an alien, you would just have a story where a thick detective is trying to stop a couple of intelligent thieves, you would be The Pink Panther. The caper element of the adventure is played down to the point where it takes place off-screen, this is because Tom Baker is such a dominating figure. You only need to see the scene where he meets the countess in episode 2 and he directs everyone as to where to sit. He also constantly puts in little ad-libs often to put off other actors, including the line - "Your a beautiful woman, probably,". His take on the Doctor was very different from those who had gone before him. While William Hartnell and Patrick Troughton had their comic moments, Jon Pertwee was serious, even in comic situations. Baker is much more direct, especially during this point in the show. He manages to steamroll his way through the story with his sheer charisma. But this has a duel effect. It draws attention to his performance of the Doctor but also undercuts the seriousness of the villains. During Talons, the Doctor was much more brooding character joined by Leela, played by Louise Jameson, a more serious and action-minded character whose presence brought more gravity to the story that Baker just couldn't shift. 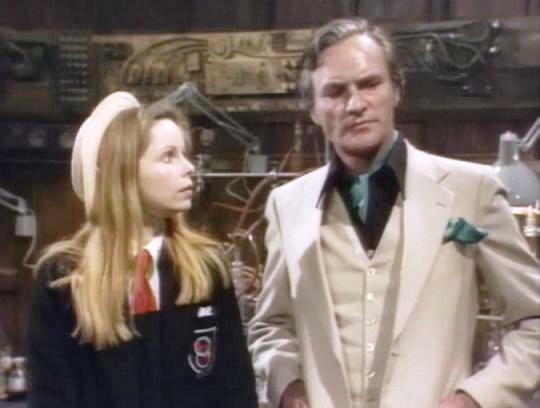 But with Lalla Ward's Romana, he has no trouble, also coming from Gallifrey, Romana is essentially the female version of the Doctor. This isn't a problem for the story though as Adams gives her some of the story's best quips and Ward's cute performance is clever and charming in a way that compliments Baker's Doctor while managing to give us a unique take on a similar personality. Given that Baker and Ward were dating at the time this story went into production, their compatibility comes through better for it. And this pairing was impossible for other Doctor/Companion teams to recreate. While their marriage wouldn't last anymore than two years, it heavily affected the last year of Baker's performance. Ward's personality could sometimes be very cloying and Baker's eccentricities could all too easily turn into hammy overreaching acting that rivalled that of William Shatner. City of Death captures both the leads at their best and they are the best pairing for this kind of story. The one thing that doesn't work very well is its setting. Now, you can't do a story about the theft of the Mona Lisa without it taking place in Paris. But the actual Louvre isn't in the story, with those scenes being filmed on a soundstage. 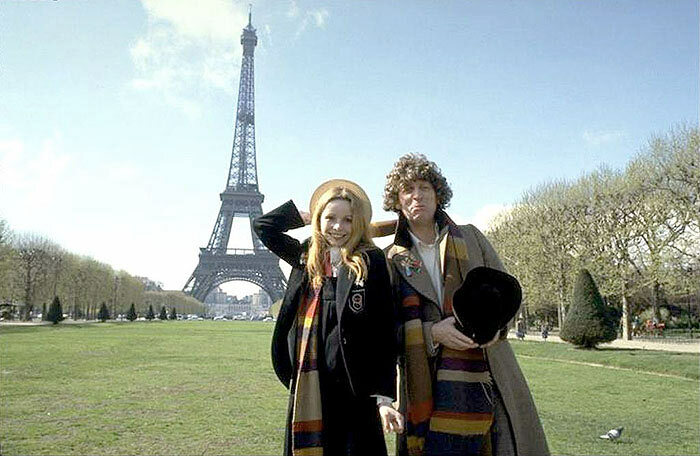 The scenes which were filmed in Paris just see the Doctor and Romana running around the streets outside famous landmarks, on their way from one plot-point to another. Except for one small bit at an outdoor café, there aren't any scenes were they are talking, just running up and down streets. They aren't really necessary as nothing happens and if you were to edit those scenes out, it wouldn't effect the story. You would loose nothing but the scenery.